Orthodontics is a field of dentistry, concerned with the growth of teeth, jaws and face. Orthodontics is about making the best of your teeth and ensuring they are in harmony with your mouth and jaw. 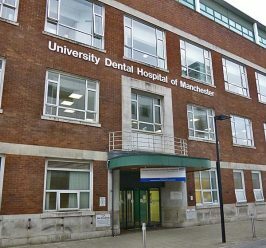 The Orthodontic Department, at the University Dental Hospital of Manchester, undertakes a range of procedures. These include straightening crowded, misplaced and impacted teeth to improve appearance and ultimately to make it easier to eat and care for your teeth. 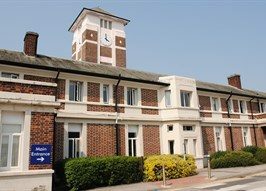 The orthodontics procedures are often very complex specialist work that is combined with those of maxillofacial surgeons who are treating patients with severe facial deformity. In addition, orthodontics also works alongside the Restorative Dentistry Department for patients undergoing treatment for multiple missing teeth who require crowns, bridges and implants. Radiographs where available should be included. Referral of patients over the age of 18 years is only accepted if the orthodontics is a part of a multidisciplinary approach to treatment. Where possible, advice is provided for further management by the referring dentist. Cases with significant treatment need (IOTN 5, 4, or 3 with high aesthetic need) may be accepted for treatment in the Department. Clinical audits are undertaken in the department with approximately 10 Trust registered audits per year. Participation in randomised controlled trials is encouraged and numerous published studies have been undertaken in the department. We have achieved excellent pass rate in training for specialist level examinations. Our trainees have received the gold medal (for best overall performance) from RCS Edinburgh and gold medal from RCS England within the last 3 years. Feedback regarding training is consistently of a very high standard.